Chaput & Guijarro studio is born from the collaboration of two designers to international furniture design. The idea behind the CADIZ armchair was to reinterpret, in a modern way, the popular and familiar bistro chair. The inviting shape of the seat, together with the minimalistic lines of the chair provide a timeless and universal design. Inspired by conviviality of bars and hotels culture, we wanted to create a versatile product which could be placed easily in any project. 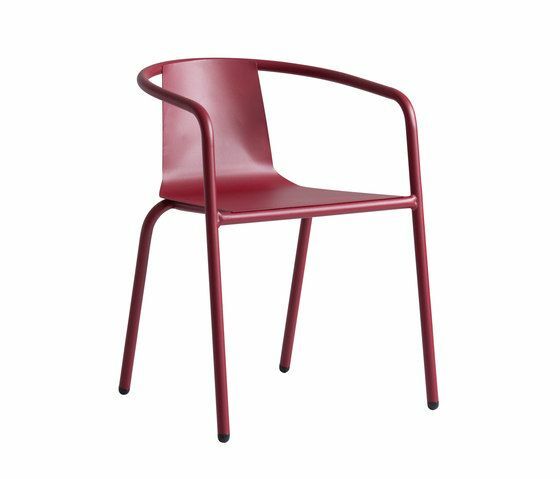 The chair is stackable, made of aluminum and available in iSi mar 30 Mediterranean color range. We gave it a playful twist by presenting theseat in two different looks: smooth and texturized.